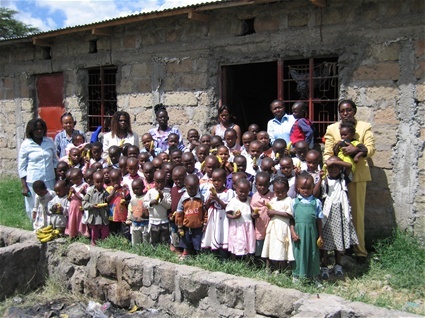 Picture from the terminated community project "A Cry for Help" at Athi River, Nairobi, Kenya. ...no longer exists ! Due to lack of funding, the orphanage project could not continue, and this website has thus been given over to a number of other worthy causes. We hope that the donors who supported us will divert future donations to the charity projects presented in the below pages. This website is sponsored by ScandeNOx Aps. - a company that supplies systems for reduction of NOx from power plants, cement kilns, refineries and industrial boilers, process- and combustion plants.